Those of us who have, either recently or long-since, concluded from physical/technical evidence that would convince most anyone not predisposed to deflect it, that the various related catastrophic events that befell locales on or near the east coast of the US. 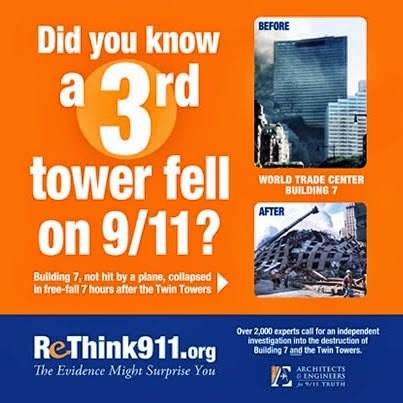 on 9/11/01 were not as explained to us by media and government have also heavily relied for our theories on certain myths that have proven untrue. There! I said it! We criticize the part of the population that still stubbornly clings to faith in the government/media version of those events, blaming and demonizing “Osama and the 19”, as being trapped inside certain instilled nationalistic myths. Such myths as “we Americans, led by our elected government and free media, are invariably the ‘good guys’, serving the interests of we (us) the American people,“ while “different-looking, -thinking, and -acting foreigners are invariably in the wrong, our enemies, and out to destroy us because they hate our freedom and way of life;” and “people in our own government would never knowingly harm us, their own people”. We’re right in thinking that those are very powerful myths, long-cultivated, that serve conveniently as blinders obscuring reality for much of the U.S. population. But, as I said, we who have concluded from abundant evidence that parts of our government were, instead, most likely themselves the culprits on 9/11, have battled a fair number of false myths as well, some of which still hold sway to a certain extent. The first of these false myths that have clouded our view also was what I call the myth of American insularity. Which is the now disproven assumption formerly shared by most Americans that whatever big events happened in America were initiated inside America by Americans. This assumption was dashed for believers in the media and government’s story on 9/11 by the purported catastrophic foreign invasion – which, for them, was why it was considered such a big deal. Because our believed-in insular safety had been seriously breached for the first time since these almost-religious believers’ own ancestors had done it in colonial and post-colonial times. 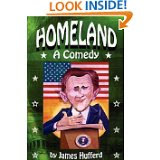 And, correspondingly, those of us who found the official 9/11 story bogus on technical grounds nevertheless clung to the insularity myth as an assumption in the sense that we concluded, until subsequent events proved otherwise, that the impetus, masterminding, and execution of the complex operation must have been attributable to actions and actors inside our own borders, with American miscreants at least taking the lead. Thus at first, for the generality of 9/11 Truthers, it was that Bush and Cheney had either let it happen (LIHOP), in case Osama and the 19 were actually involved in the plot and execution, or that they oversaw or made it happen (MIHOP), borrowing the shorthand introduced by Webster Tarpley (in case they had brought it about by choreographing the buildings’ downfall and assumed run-in with the officially-attributed, or perhaps some other aircraft (a secondary possibility considered unthinkable by most for several years, up until about 2007 and the appearance of the nano-thermitic evidence, etc.). Today, with the realization of international central banking as a prime mover, it is widely considered at least as likely, if not probable, that an American government-connected elite (the Deep State) was active in conjunction with a coordinated globalist cabal dominating all sectors of public life, particularly global banking and inseparably linked giant global corporate business, in creating and backing an unprecedented collective psychic catastrophe for their run-of-the-mill underlings, to empower them and launch follow-on military, economic, and civil activity enormously forwarding their profitability and control. There is certainly evidence for broad foreknowledge among such on and before 9/11. Beyond even that, many see 9/11 as a totally foreign (Israeli Mossad) operation from top to bottom – with the homegrown U.S. gallery of known Deep State rogues and traitors doing exactly what, is not clear. Hence, that specifically 100% non-U.S. version at the moment lacks sufficient proof. The second myth that hung heavy in our midst for a long time as an assumption, and still hasn’t dispelled completely, is that 9/11 was a singular event, a “one-off” in some sense, distinguished in kind (qualitatively) from every other ostensibly opaque government operation before or since – an essentially psychological operation of unprecedented power and magnitude, perhaps preceded only by a secretly-manipulated Pearl Harbor op. Each of the many now-recognized or suspected so-called psyops is, of course, unique in specific design or detail, though none have been as ambitious or far-reaching. Hence, the distinctiveness of 9/11, it turns out, is instead morequantitative than qualitative. It was bigger and more audacious than any other known psyops before or since. Yet if we’re hoping that its architects can, if cornered after 17+ years, be able to fill us in reliably on most of the presumably many missing details, I would say, probably not. And that’s in large part because most of those surviving may well have taken part in a dozen or even dozens of other “special and psyop-type operations earlier or since. In which case, most of the details would tend to just kind of blur and merge. Suppressed documentary evidence could be a different story. But, for their part in it, 9/11 would probably have been for most just one more job. In fact, 9/11, viewed in larger perspective, far from being a “one-off”, as originally considered by most independent sleuths, may be seen more accurately as something of a prototype or template, perhaps even a dress-rehearsal for numerous, and maybe bigger, psyops still to follow, part of a learning curve. A third myth, apparently cultivated by our controllers, that is seemingly looming ever larger among us even now, is that our foe is god-like and monolithic – all-powerful and basically unchanging, its very nature and scale rendering us helpless. Now that most of us have been forced to concede that that our government is not our friend, but our uniquely-powerful enemy, affording shelter to those who plot to kill most of us outright and robotize the rest, all opposition appears hazardous and futile. Hazardous it may prove to be. Futile it’s not. 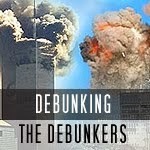 Which brings me to the promise made in the title of this article: What is the theory of 9/11’s origin that you never heard before? The answer is that it simply has to do with our own common identity and role in this country now as compared to earlier. 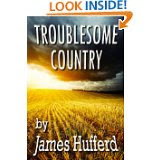 When this country began, when its founding institutions were designed and specified, we were a population – those who were free – of individuals – farmers, small merchants, free tradesmen – all excellent citizen and peer material. Our leaders were simply fellow members of our society, usually but not always educated, recognized as outstanding at what they did and for their insight. Citizens as individuals comprised the constituencies. Today, on the other hand, it is assumed by the establishment – those who are called the elite by dint of money and position – that those steering the trillion-dollar banking houses and corporations and who sit on and chair multiple boards and national commissions – will decide for all, and the rest of us are fit to be considered, at best, consumers and maybe rowers. But scarcely the latter now, nor workers, because the very creation of real wealth from the ground up is becoming outmoded and, where still existent, fully automated. And even the world’s lowly consumers are far more numerous elsewhere than here. And this post-modern elite, subservient to the true global controllers, that absorbed 9/11 and subsequent psyops unquestioningly (at least out loud) as an enactment of management decisions, is conditioned to suppose that we, the rest, the great masses of ordinary individual humanity can be controlled and ordered psychologically like them. As we famously are, it seems, every day by their advertising propaganda. Bur, in the political and civil realms, that formula is no longer working effectively. The elite’s specialists programmed the outcome of the 2016 election, as they always do, and, on principle, we refused to comply – with anomalous results. And now, they are at the end of their rope with us (better at the end of our ropes), and that’s why they have been going nuts with the censorship, throwing our Constitution in the trash by working via supported non-government private entities – a move, interestingly, rejected by the public to the point that the all-powerful perps are having to back down and reinstate the victims to protect their own relevance. Which brings us to a current case-in-point psyop-related question: Why the unbelievably enormous, seemingly nonstop media adulation for America’s most-conspicuous and powerful warmonger (and demonstrablewar criminal) – without ever once daring to even hint at that off-putting fact? Because they want badly for us to respond sympathetically to the add-on, totally needless and counterproductive (for us) war-making and nation-killing they are desperate yet to do, starting with their rage-bombing the bejesus out of Syria if not Iran, primarily to keep the hundreds of billions and trillions rolling in mostly from our already-depleted bank accounts to theirs while tweaking the nose of Russia – not a good idea. But this seeming endless, fawning McCain funeral gambit likely won’t work, because 1) Americans don’t want more militarization, 2) knowing this, the perpetrators (or just plain traitors, from our perspective) don’t even dare mention the leading act of McCain’s entire shtick, and 3) regular Americans, unlike the warmongers and corporate money-grubbers (mostly one in the same), aren’t in love with John McCain. Because they remember. So, ask yourself this: Why are there virtually no American troops (referred to as “boots”) on the ground over there this round, but hired terrorist-mercenaries instead? Answer: because we the American people wouldn’t stand for more. And why did the in many ways similar senseless debacle in Vietnam and Southeast Asia finally conclude embarrassingly for the military establishment a generation ago? Because we – including the ordinary U.S. soldiers involved – wouldn’t support it or follow orders anymore. 9/11 was fashioned to usher in the dreams of the warmonger elite money-grubbers, the incurable globally-loathed predators-for-profit. Their acting out has wrecked our economy, our lives, and in many ways all but destroyed our spirits. And, once again, we can stop it. We can stop the hostile takeover of our country that permits it. Nobody (well, almost nobody) is watching or reading the worst of the fake-narrative CIA-connected media anymore to pick up the transmitted signal from On High. So, although it might not happen all at once, I predict that we will halt and reverse the destructive constituency paradigm shift and return to a citizen-centric electorate that’s a lot smarter than they thought we were, or than they will ever be in our behalf. Because, we possess, naturally, the unique 23rd chromosome, the spark of humanity, that they can never satisfactorily fake.